Our Iris Naming Contest is now closed. Thank you to all who participated. After we sift and sort and double-check and settle upon a winning name, we will make an announcement on all our social media channels. It’s a process. Bear with us. Best of luck! Each October we select one of our seedlings, never before introduced, to be named by you, our fellow Iris enthusiasts. This year’s candidate is a lovely yellow-orange, very logically (although unimaginatively) named A407-3. This newcomers stands 37 inches tall and blooms mid-season. Contest open to US residents only. Entry deadline is 9:00 p.m. Pacific, Wednesday, November 1, 2017. 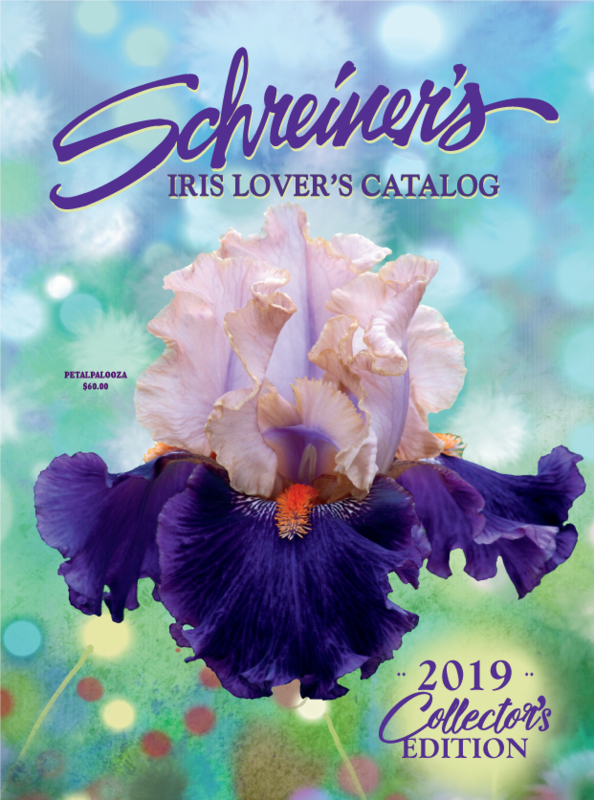 The winner will receive one plant of the named Iris (shipped summer 2018) and a $25 gift certificate to Schreiner’s Iris Gardens (mailed with a copy of the 2018 catalog in the spring of 2018). I vote for “Sun Goddess” too in honor of Nadine! Thanks, it’s a beautiful Iris. Yes, we will announce the winning name in our email newsletter. We will also post it on our blog and on our website. Can your plants be sent to Canada? My mother, Nadine Group age 84, has grown bearded iris for over 50 years. She and her sister, Maryellen Miller, would spend hours recapping their collection of irises. It would mean the world to her to have an iris named in her honor. I have submitted a suggestion for the yellow iris to be named as “Sun Goddess”. Mother still enjoys growing the irises but has down sized considerably. My personal favorite is “Stepping Out”. She does not have access to email or a computer. Thank you for sharing your story of your mother. We will certainly take your suggested name into consideration. Wishing many happy Iris seasons!